"the little Blue Book" is an elite business directory founded in 1948 - Grosse Pointe, MI published for the use in both Grosse Pointe and St. Clair Shores. “the little Blue Book” is an elite business directory founded in 1948 – Grosse Pointe, MI published for the use in both Grosse Pointe and St. Clair Shores. Distribution…reaching more than 150,000 consumers. Reliable Local Resource Directory – an abundance of community information. Money Saving “the little Coupon Book” and the Coupon Pages. Your business is automatically listed on our website, giving your business more exposure at no additional charge —www.bluebooklocal.com. The St. Clair Shores 2018-19 Blue Book…Distribution June 2018. Get a spot on the illustrated Grosse Pointe Map – ad space starting at $675. year. Our sister company Towar Productions provides full design & print marketing services at an affordable rate! 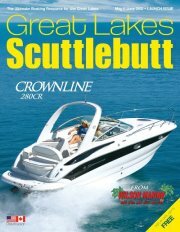 Brochures, Catalogs, Logo Design, Flyers, Newsletters & much more! Address: 13650 E. Eleven Mile Rd. We give readers what they want, give advertisers what they need and make sure it gets into every home … every week!